Infrared asphalt repairs produce permanent repairs while keeping costs reasonable and environmental impact low. Repairs completed in a fraction of the time of conventional methods means minimum disruption to traffic. Environmentally friendly process recycles approximately 85% of existing asphalt, reduces waste material headed for the land fill & requires less new asphalt. Infrared repairs are superior to other conventional repair methods. Substantial cost savings helping you stay within your budget. All joints are seamless, making it impossible for moisture to penetrate the surface. The finished repair isn't just a patch, it's literally welded to the surrounding asphalt. 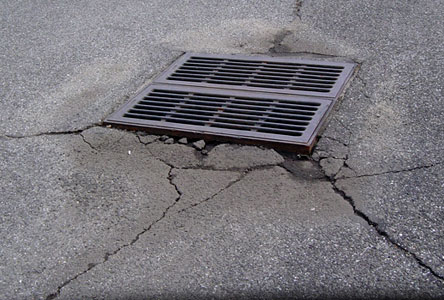 Surface patching is a very economical way to repair pavement defects. A tack coat is sprayed over the existing area, then new hot mix asphalt is spread over the area. The new asphalt is then feathered into the surrounding area to make the transition as smooth as possible. The asphalt is then compacted and ready for use. New technologies in asphalt production have produced outstanding performance and durability. Built in flexibility resists cracking and reduced temperatures needed to manufacture and work with make it environmentally friendly. 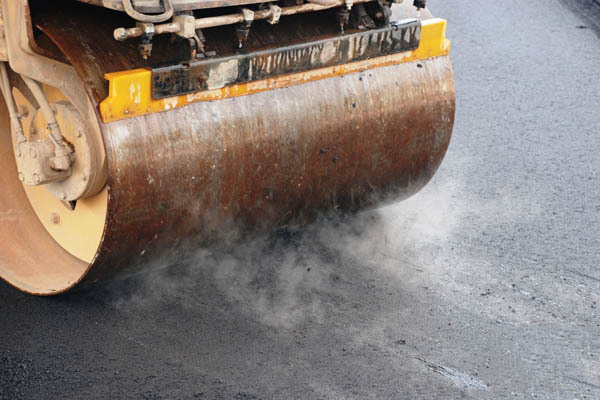 With less heat needed, our warm mix asphalt can be used year round to produce asphalt repairs. The infrared unit is placed over the damaged area for approximately 10-14 minutes. The unit heats through the existing asphalt depth, enabling base re-compaction. New asphalt is added to the area to match the surrounding asphalt. By using same day made hot mix asphalt product, the new area will outlast the surrounding asphalt. Of the compromised asphalt, usually 15%-20% is removed. The remaining asphalt is luted, smoothed and a rejuvenating agent is added. The repaired area is compacted using a vibratory roller. The repair is completed as the new asphalt is bonded to the surrounding area, resulting in a permanent repair.